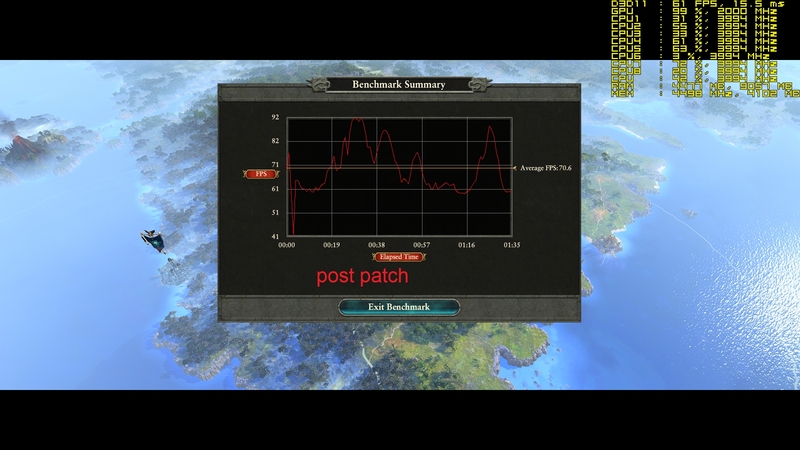 Discussion in 'Benchmark Mayhem' started by psolord, Jan 19, 2018. 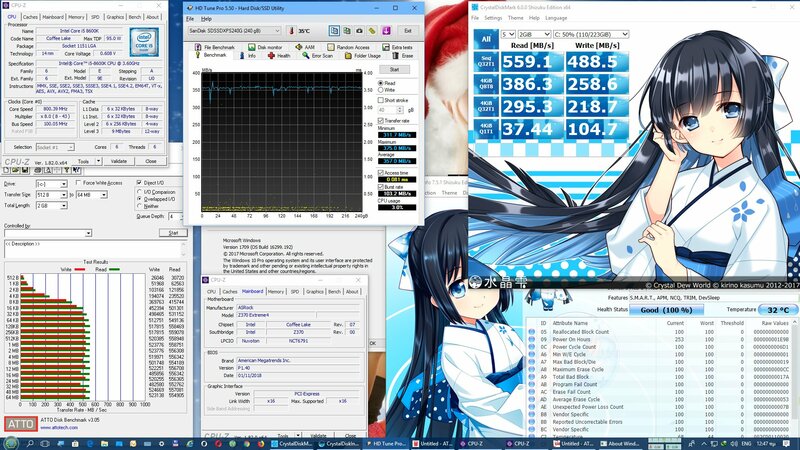 So I did some benchmarks, before and after the kb4056892 patch, primarily on my core i7-860, but also some quick tests on the i5-8600k. My 2500k will have to wait for a while, because I am running some other projects at the same time and I need to finish up with the i5-860. This effort is completely hobbyist and must not be compared with professional reviews. It’s just that I believe no reviewer will actually take old systems under consideration, so that’s where I stepped in. There are some shortcomings on this test anyway, some of which are deliberate. 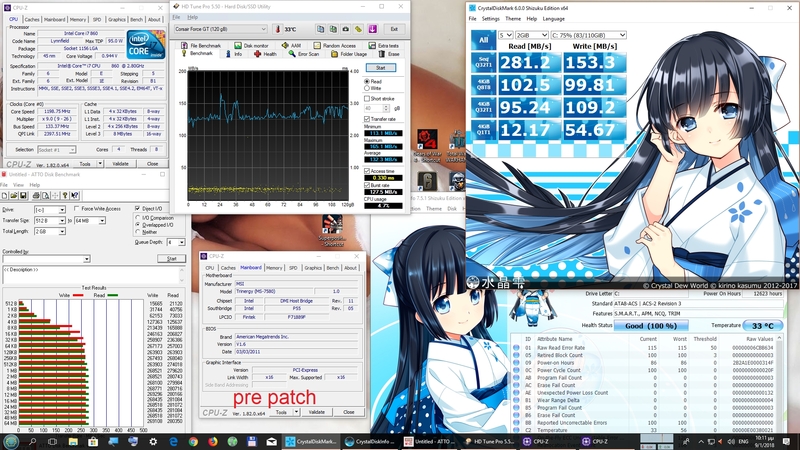 The test is not perfect because I have used mixed drivers. 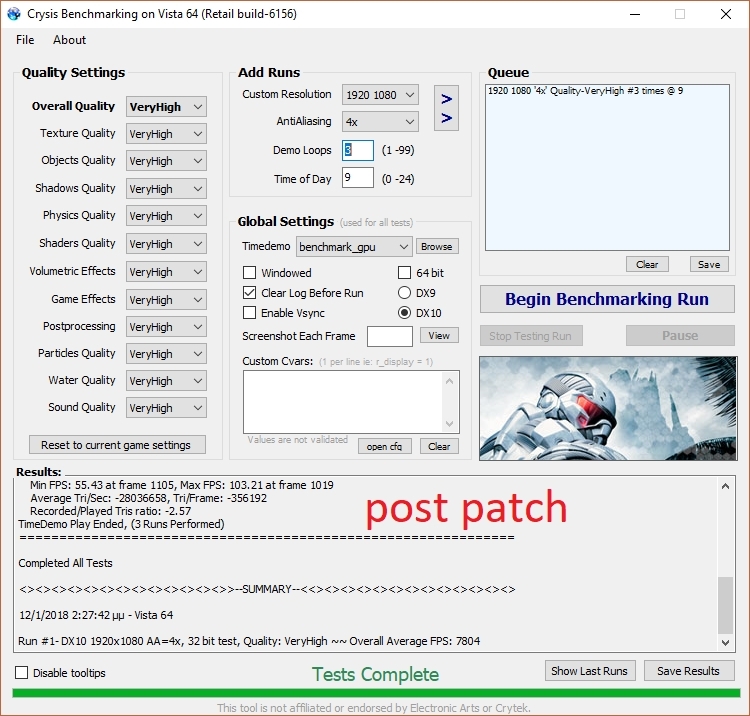 Meaning that in some tests I have used the same driver, in another a couple months different drivers, but in Crysis I have used a year old driver for the pre patch run (it made no difference anyway). 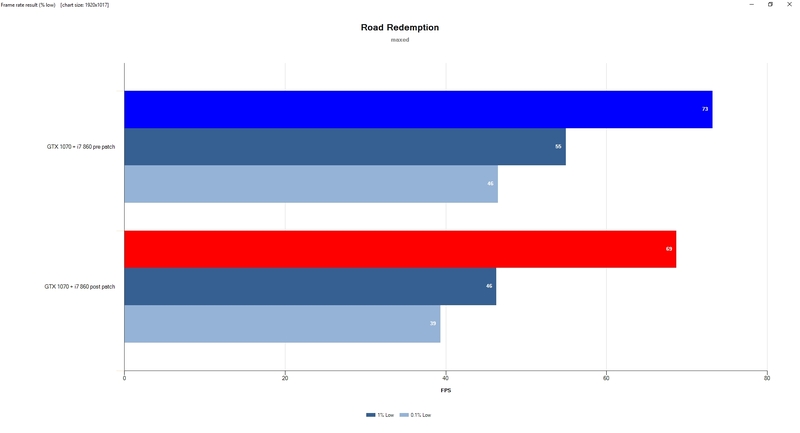 From my personal experience, newer drivers rarely bring any performance improvement. After the first couple drivers have come out, nothing of significance changes. 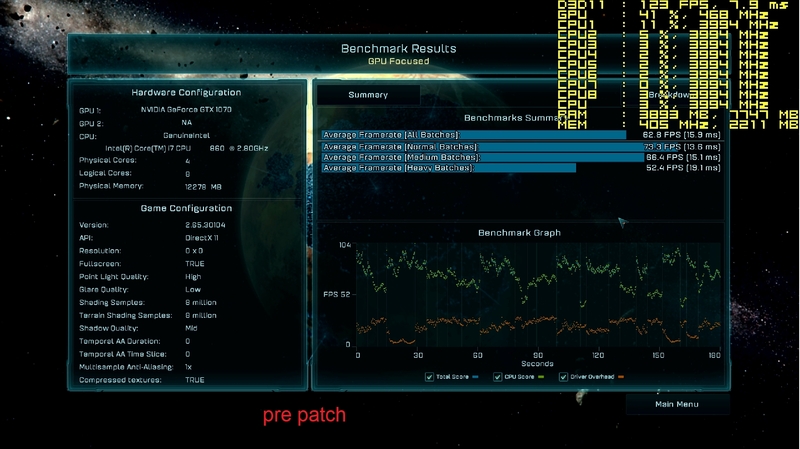 Usually Nvidia’s game ready drivers, are ready right at the game launch and very few improvements come after that. 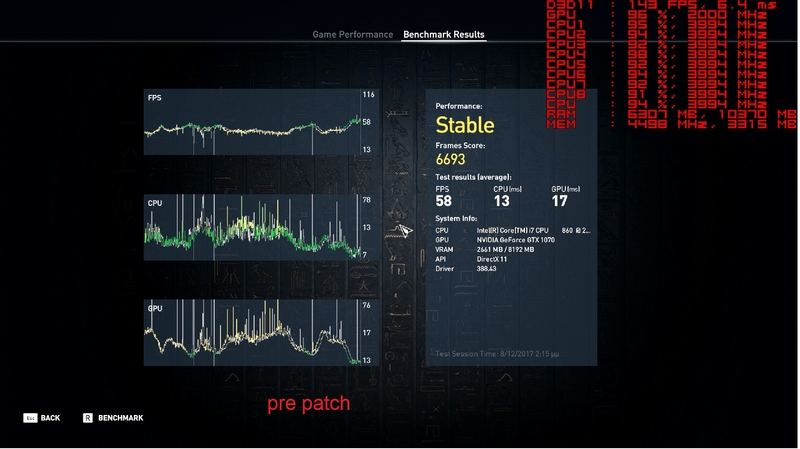 Actually it’s primarily the game patches that affect the game’s performance, which granted, may need some reconsideration on the driver side. Still the games I have used did not have that problem (except one specific improvement that occurred in Dirt 4). In this test, there are three kinds of measurements. 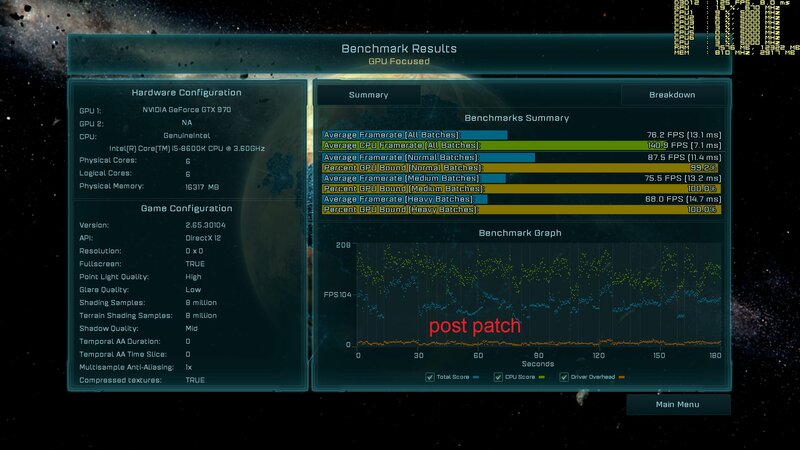 First I did the classic SSD benchmark, before and after the patch. 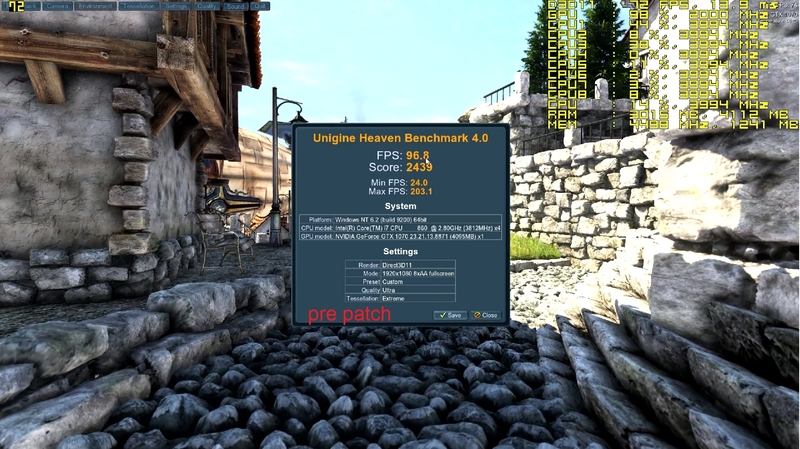 The I have gaming/graphics benchmarks, which consist from either the built in benchmark of the game or from my custom gameplay benchmarks. 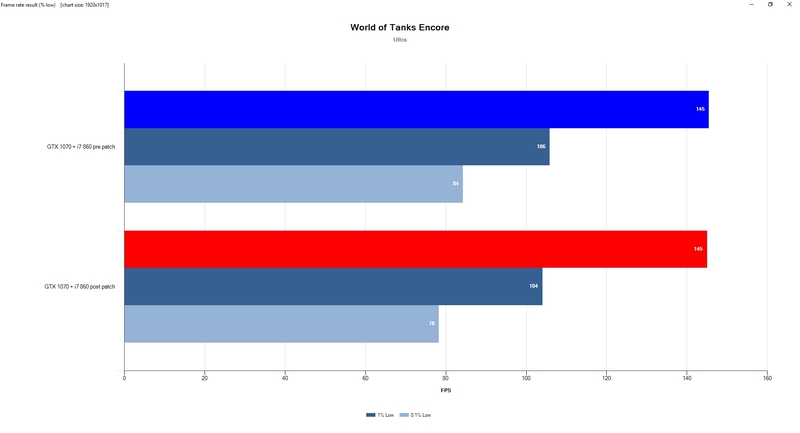 Then I have World of Tanks Encore, which is a special category, because it’s an automated benchmark, but I used fraps to gather framerate data while the benchmark was running, because it only produces a ranking number and I wanted fps data. In my custom gameplay benchmarks, I rerun some of my previous benchmarks of my database, with the same settings, same location etc. Keep in mind that these runs are not 30-60 second runs, but several minutes long ones. 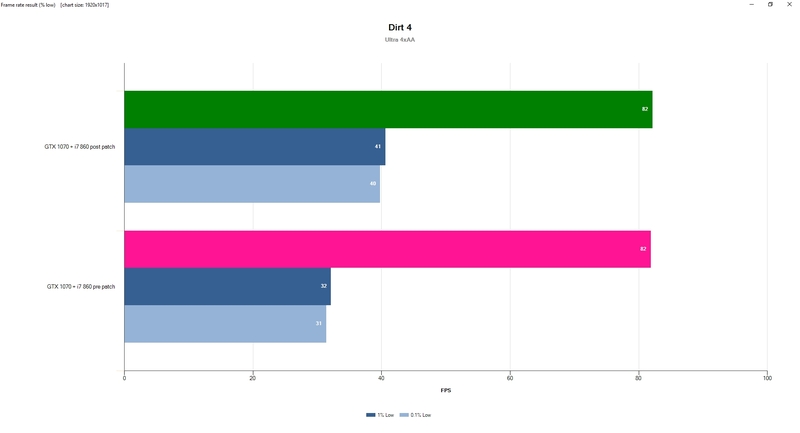 I collected data with fraps or Ocat depending on the game. 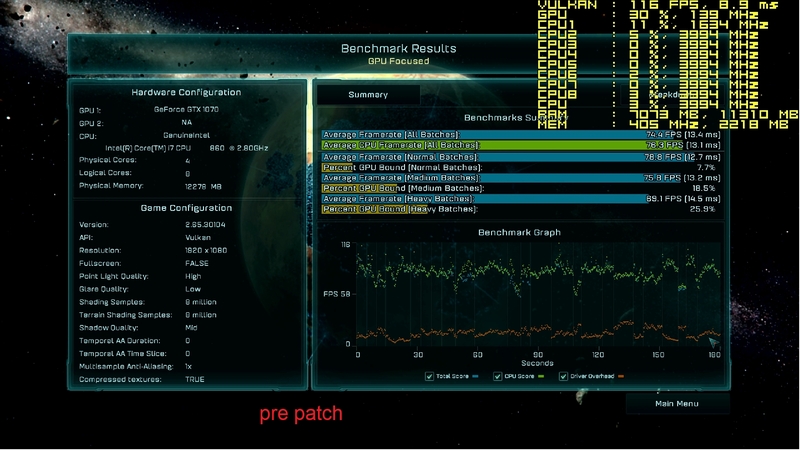 Please note that ALL post patch benchmarks, were with the 390.65 driver for both the 1070+860 and 970+8600k configurations. This driver is not only the latest available, but also brings security updates regarding the recent vulnerabilities. 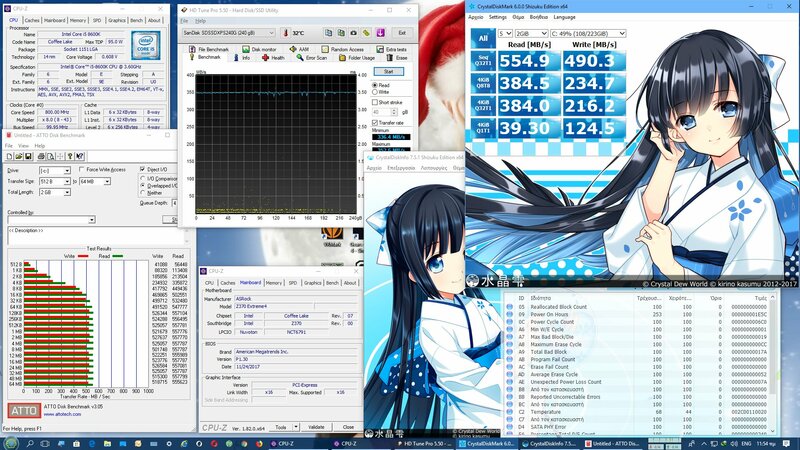 So let’s begin with the core i7-860 SSD benchmarks. 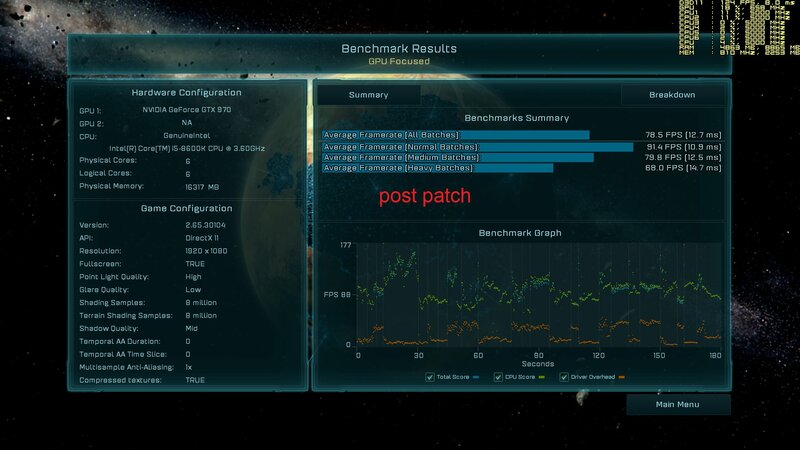 Please note that the SSD benchmarks on boths systems, were done at stock clocks. The 860’s SSD is an old but decent Corsair Force GT 120GB. As you can see, there are subtle differences, not worthy of any serious worries imo. However, don’t forget, that we are talking about an older SSD, which also is connected via SATA2 since this is an old motherboard as well. Now let’s process to the automated graphics benchmarks, which were all done with the core i7-860@4Ghz and the GTX 1070@2Ghz. And the special category of World of Tanks Encore I told you about, since it essentially belongs in the automated category. Now as you can see, the differences are not big. They are quite insignificant I would date say actually. They seem to be well within the margin of error. 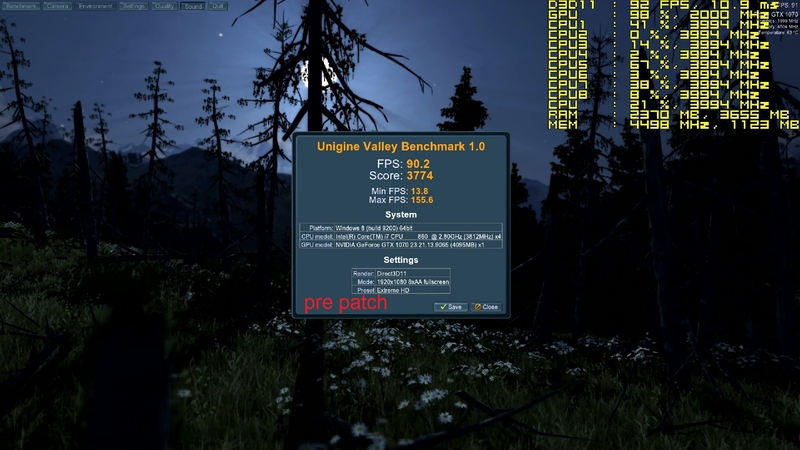 I actually decided to benchmark the i7-860 with the 1070 first, since it’s the weakest of my processors and any impact on the cpu performance would be directly highlighted. Many of these runs are cpu limited already. 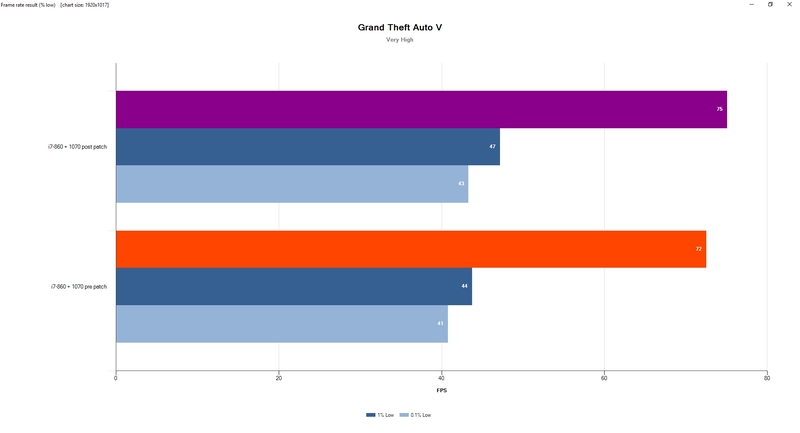 The two games that showed a measurable and repeatable performance drop, were both UWP games, Gears of War and Forza Motorsport 7. Even so, the drop was not such to make you jump off your chair! 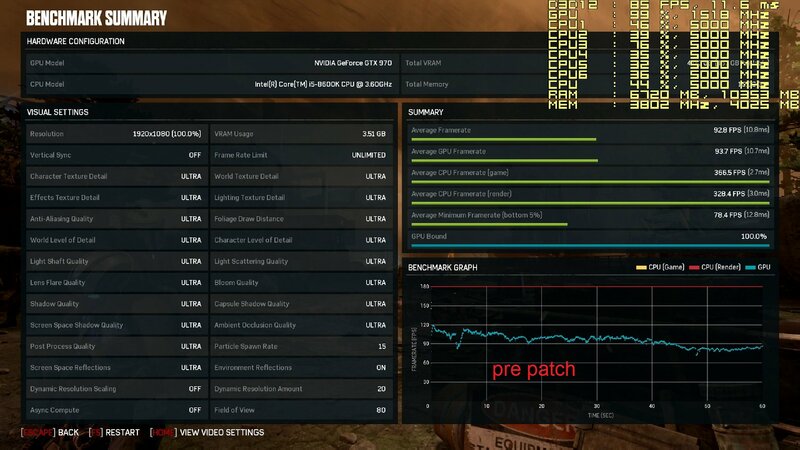 Actually in Gears 4, in spite the general performance drop, we did get a 5% lows performance increase. 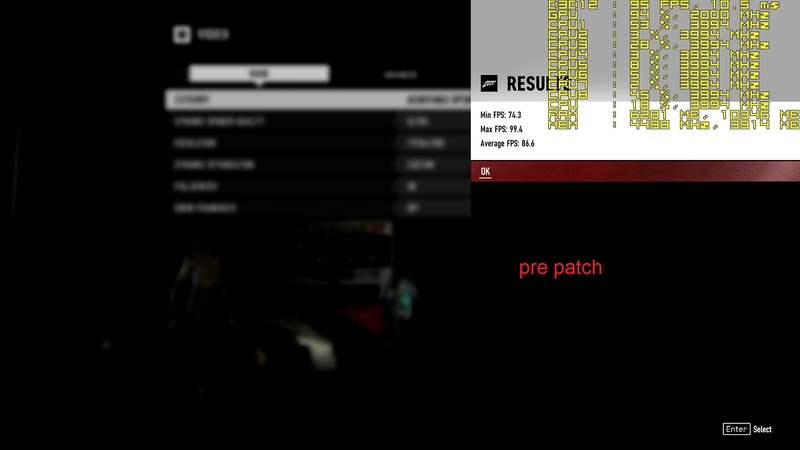 Note that I sued the same driver for both the pre and post patch runs. My custom gameplay benchmarks follow suit. You can see the game titles and the settings in the screeshots. All at 1920X1080. 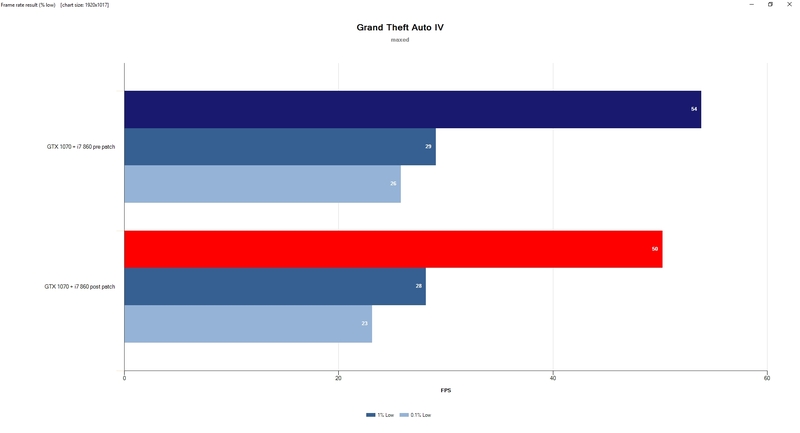 Here we can see that there are no big differences on the average framerate, which is the first primary and most important result. 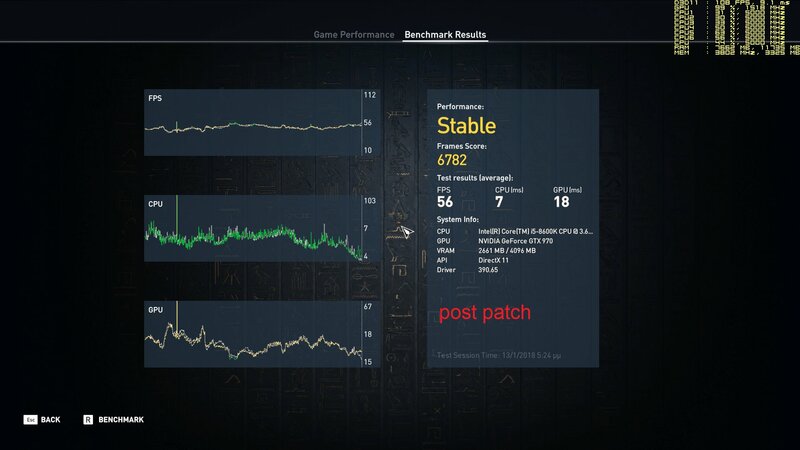 There are some fluctuations on the 0.1% lows mostly, but not in all games. Prey seem to had a harder time that the rest of them. I did notice two momentary hiccups during the run and I was certain they would appear in the 0.1% lows. 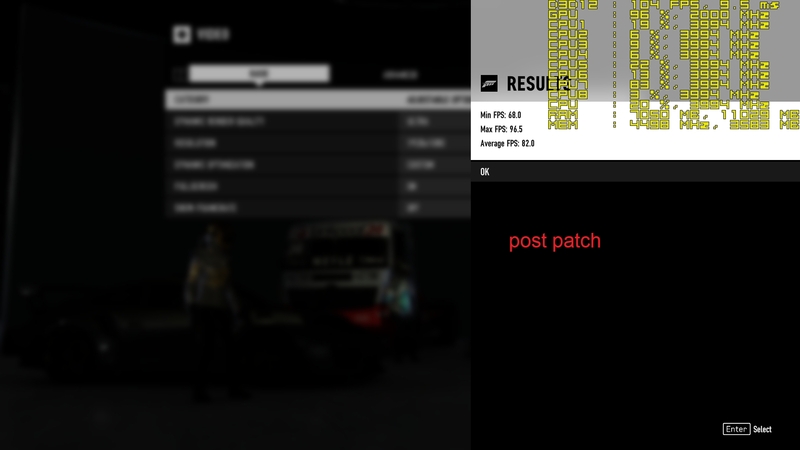 The better 0.1% and 1% lows you see on Dirt 4, I have to admit that have been affected by the newer driver. This is the exception to the rule however and not the other way around. 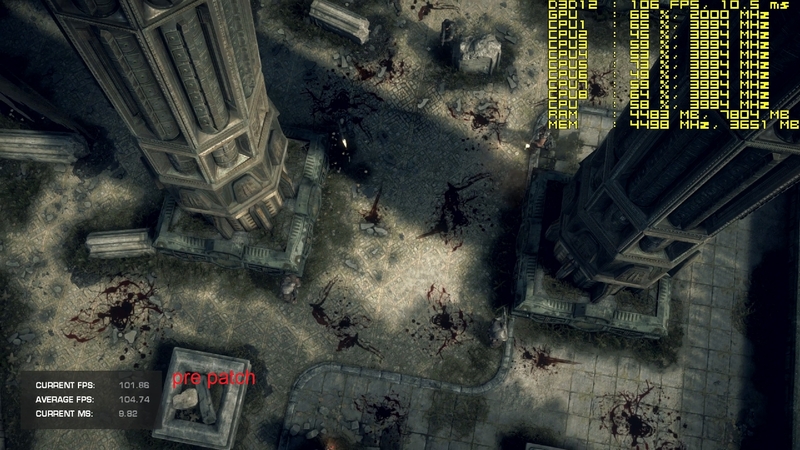 There is a specific part at the beginning of the run, which makes the framerate to dip. It dips on the newer driver also, but a little less. 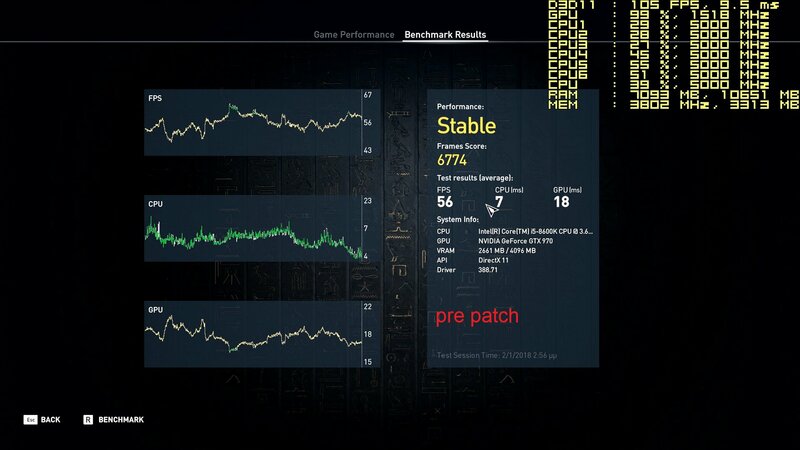 The overall average framerate was not affected as you can see however and I felt the game running exactly the same. 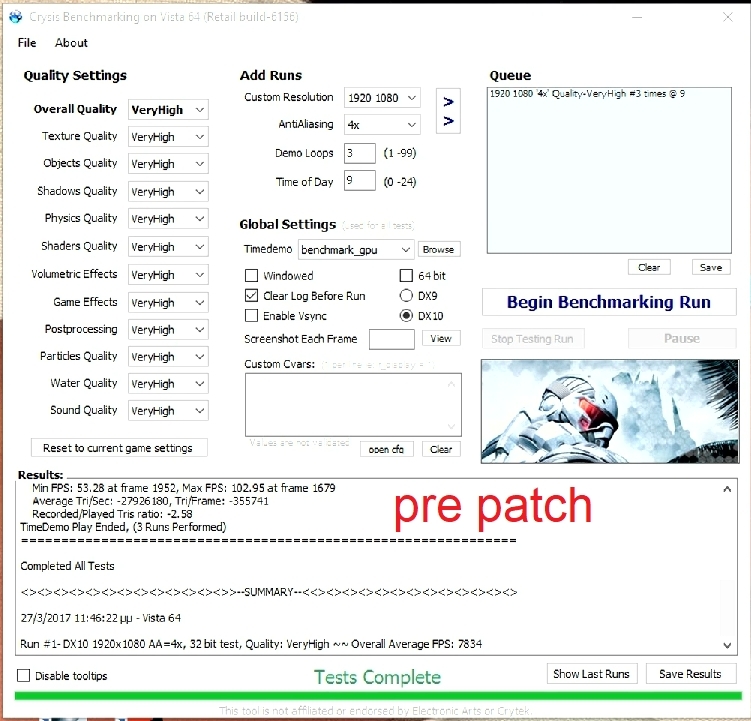 Now let’s move on the quick Core i5-8600k with the 970, which is essentially a preview, since I will do more testing later on, with the 1070 installed, in order to better highlight any differences in performance. 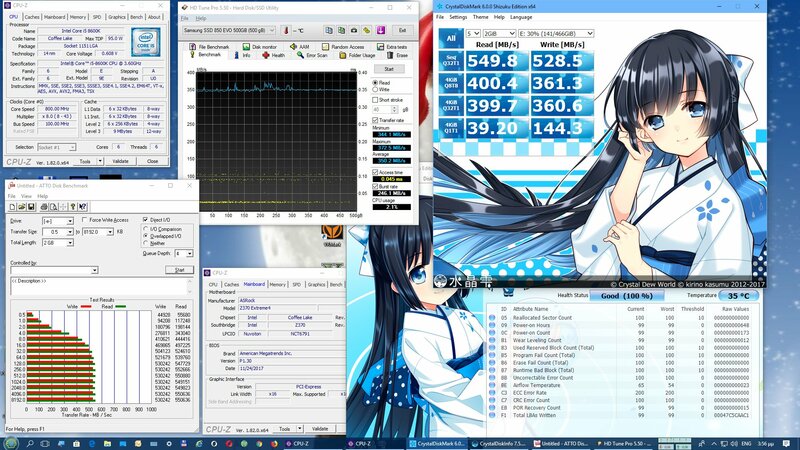 Again the SSD test come first with the system also at stock. 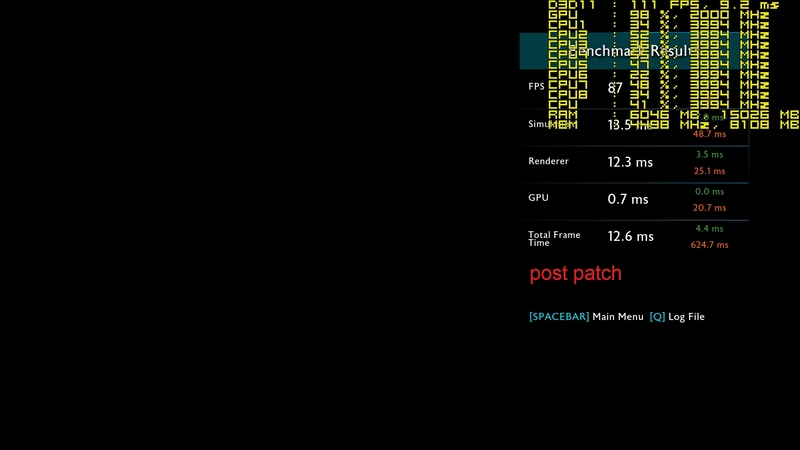 Please that all post kb4056892 patch benchmarks on the 8600k, were done with the 1.40 Asrock Z370 Extreme 4 BIOS, which included microcode fixes for the cpu, regarding the Spectre and Meltdown vulnerabilities. 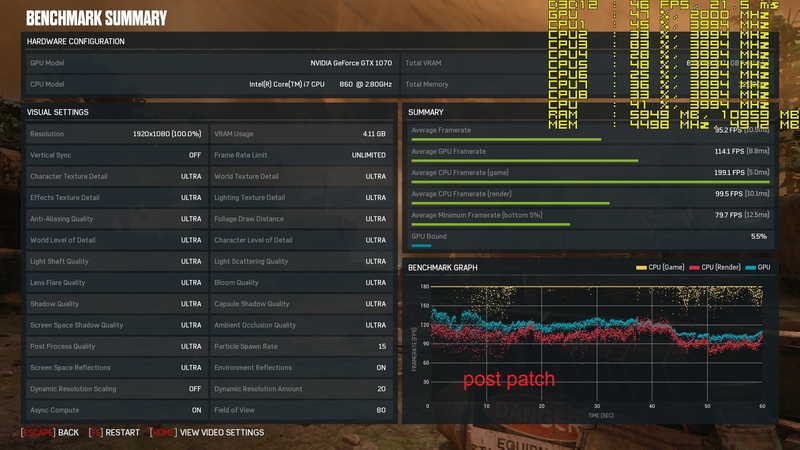 It is therefore more solidly patched, compared to i7-860. Ashampoo cpu check report verifies the system to be ok. I have two SSDs. A Samsung 850 EVO 500GB and a Sandisk Extrepe Pro 240GB. 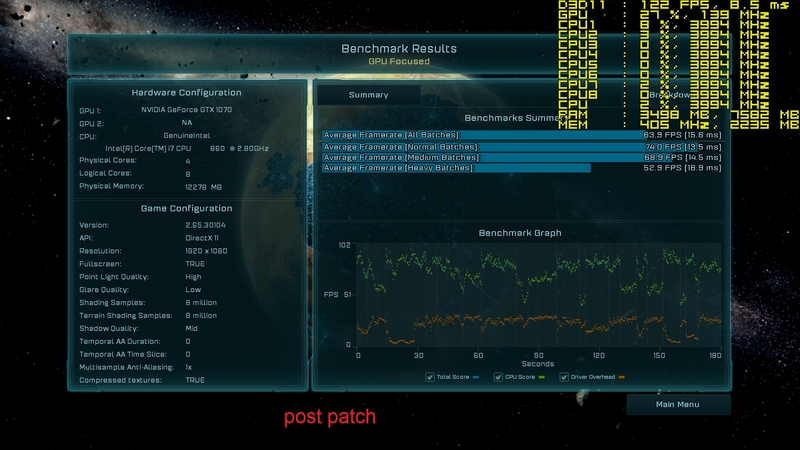 Needless to say that the screeshots with the lower performance, are the ones of the patched system. I have the windows version captured on those. 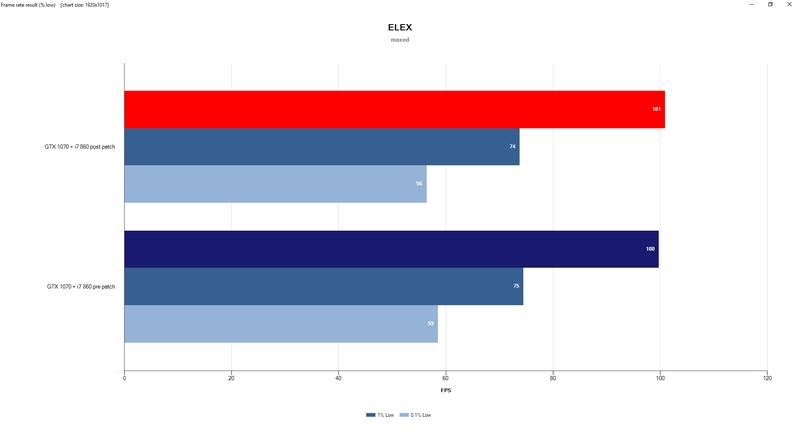 Unfortunately, there is a substantial and directly measureable performance drop on both SSDs, that reach 1/3 of performance loss on the smaller file sizes. On the bigger file sizes things are much better of course. 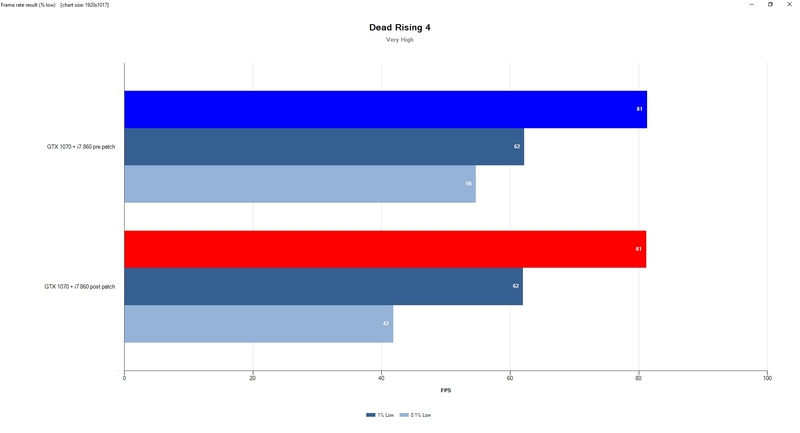 I did a mistake and used different ATTO versions for the Samsung and Sandisk drives, but the performance drop has been recorded correctly for both anyway. 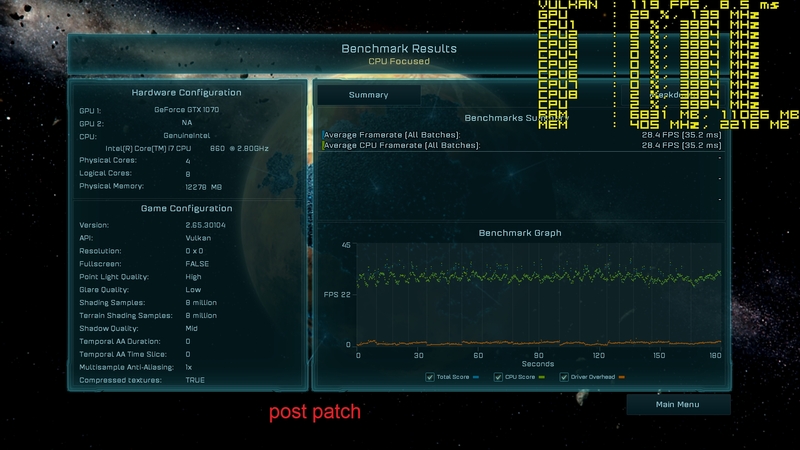 As for pure cpu tests, I didn’t do much. Just cpuz and cinebench. 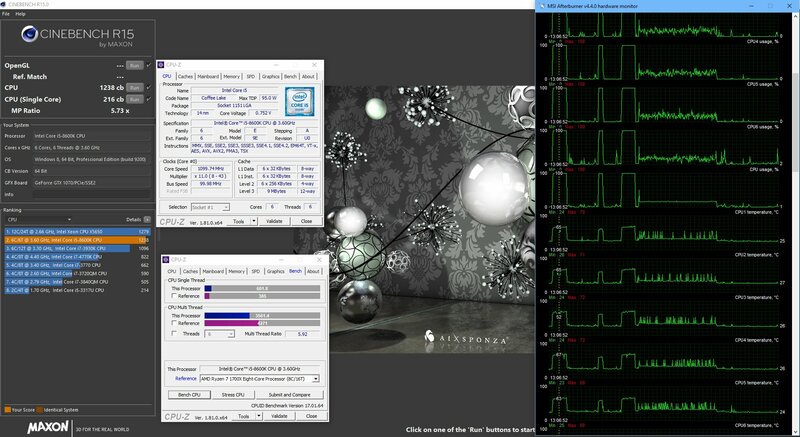 Cinebench didn’t show significant difference, but cpuz showed a drop on the multicore result. 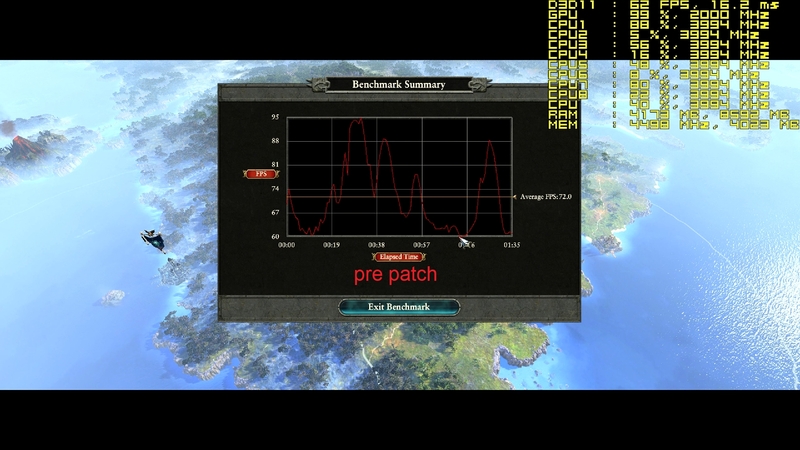 I then realized that I had used version 1.81 on the pre patch test and version 1.82 on the post patch test. I am not sure if this would affect things. Still I trust cinebench more, since it’s a much heavier test. Ok then, gaming benchmarks time. i5-8600k@5Ghz, GTX 970@1.5Ghz. The pattern is the same as above. 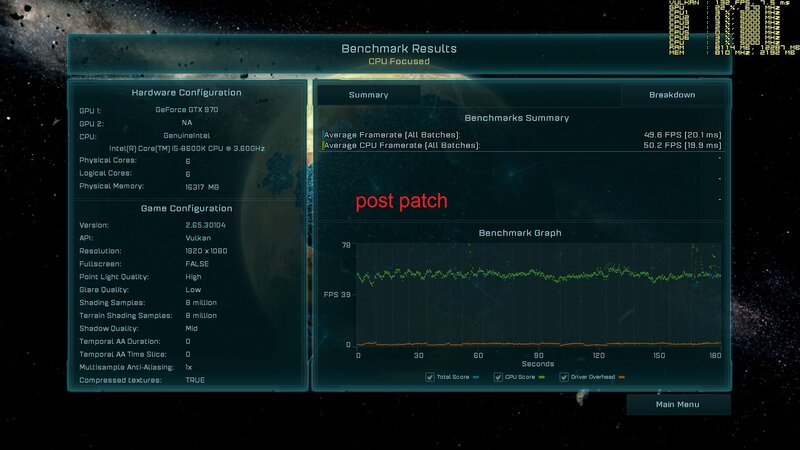 And I left Ashes of the Singularity for the end, because I only have post patch measurements, but there’s a reason I am including those too. 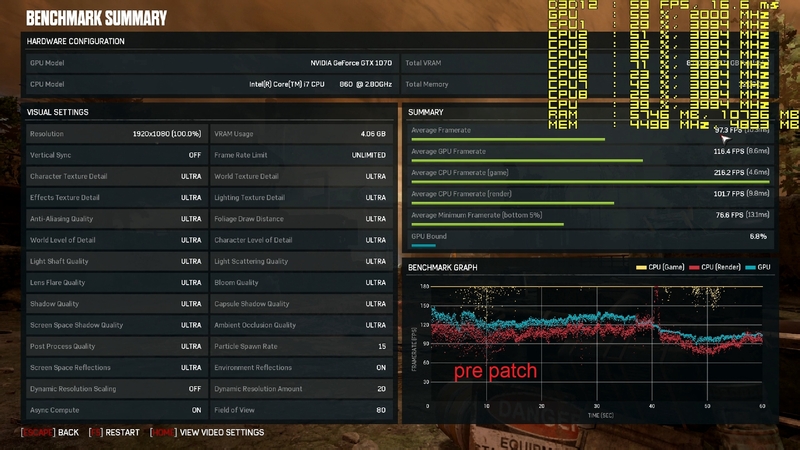 Again as you can see, we have a measureable drop on Gears of War 4. 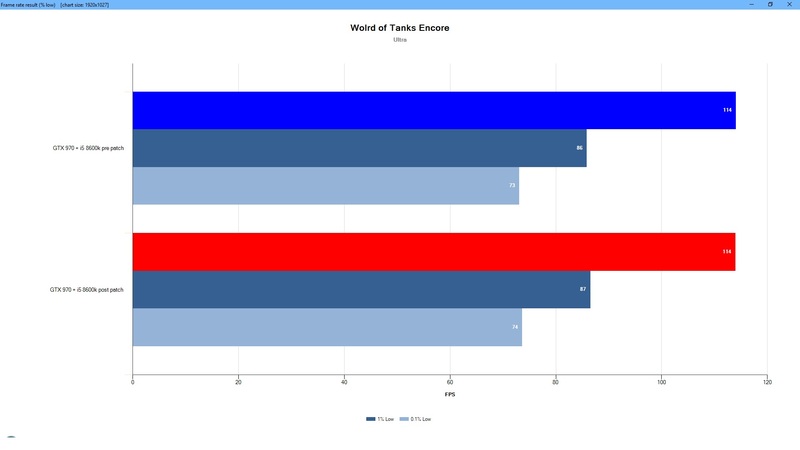 It’s probable that with the 1070 the difference will be higher. The point is not just that however. Let’s do a comparison on the above numbers. 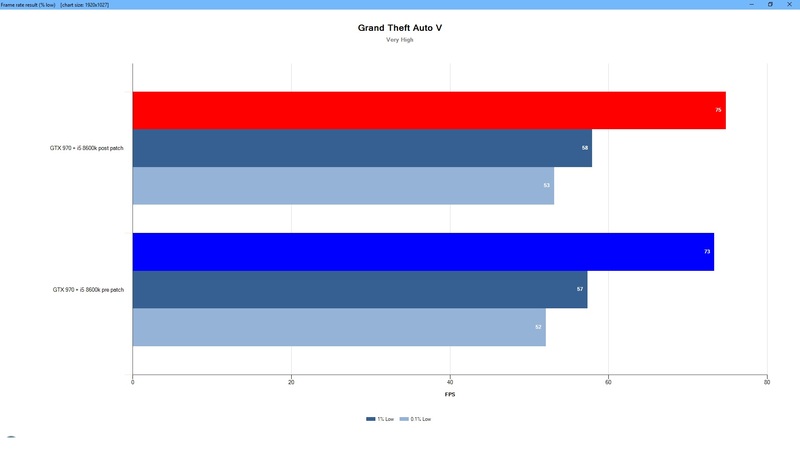 Take GTA V for example on the i7-860+1070. 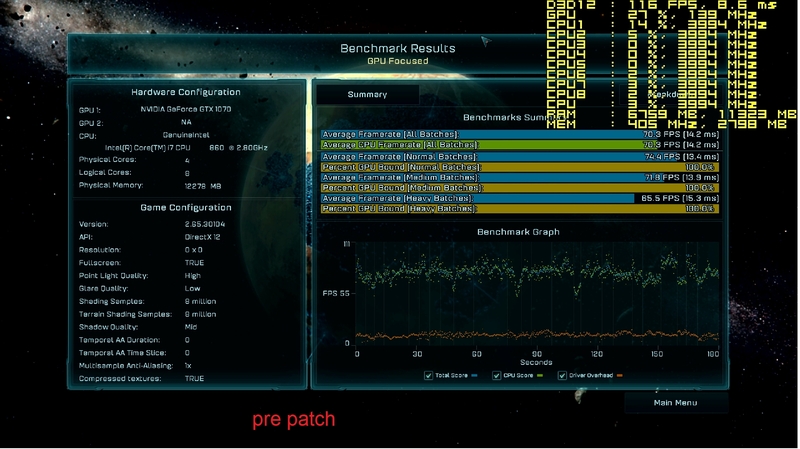 You will see that it has the same benchmarking result of 75fps average, as the 8600k with the much slower 970. However its 0.1% and 1% lows are quite better. You can feel it while playing. This is a direct result of how cpu limited this game is. For reference, the 1070 with the 8600k gave me 115fps average, but this is a discussion for another time. After that, you can take a look at Gears of War 4 post patch results for both cpu scores. 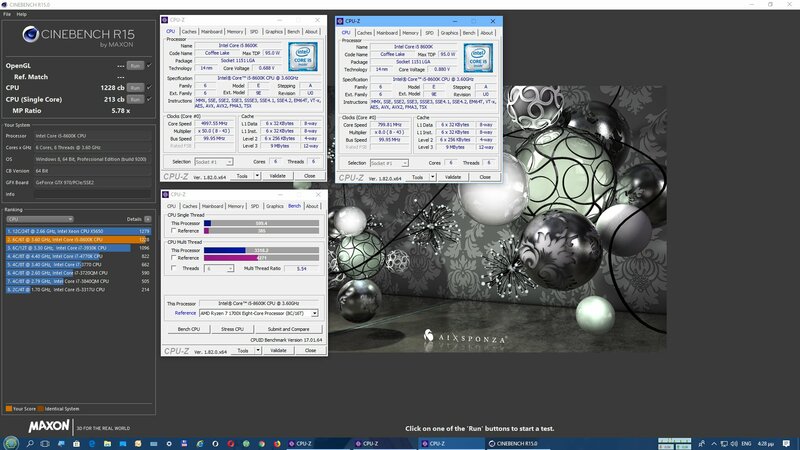 364fps for the 8600k, 199 fps for the 860. 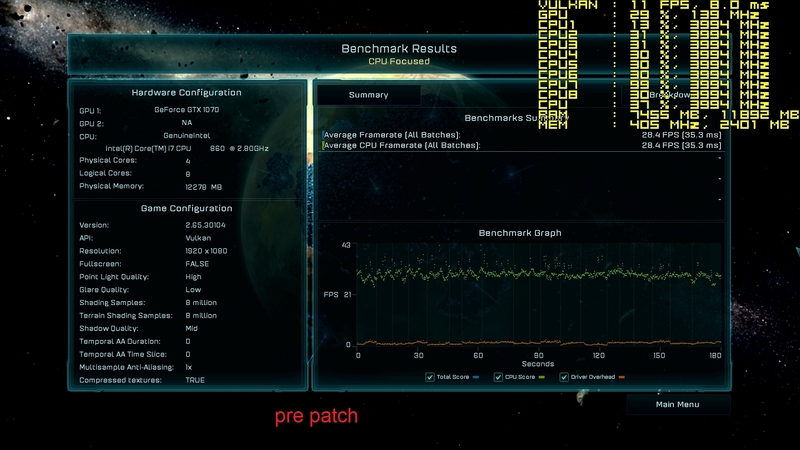 And of course we cannot defy the king of cpu limits, Ashes of the Singularity, which for the Vulkan test being the best for both systems, gave us post patch, an average cpu framerate of 152fps for the 8600k and 74fps for the i7-860. Why am I saying all that and why am I comparing first and eighth generation cpus? 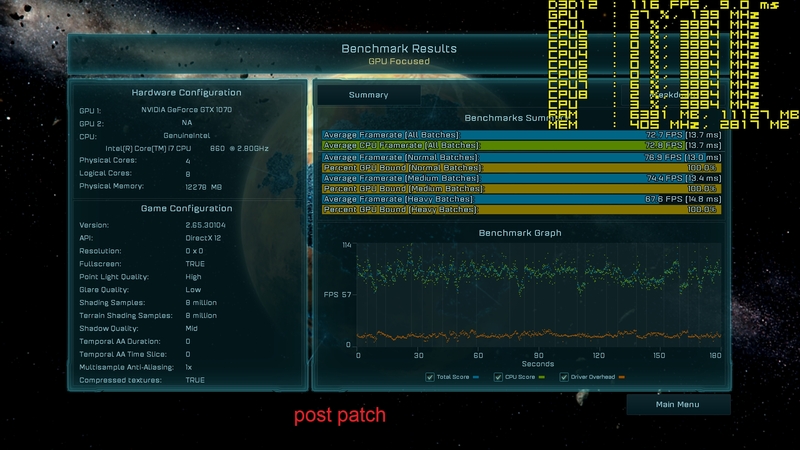 Because as you can see even from these few tests, the i5-8600k continues to perform as an 8th gen cpu. It did not suddenly turn into a Lynnfield or something. Also the Lynnfield stayed a Lynnfield and did not become a Yorkfield or whatever. I generally observe a severe doom and gloom attitude and the consensus that our systems are only fit for the trash, seems to have taken hold on some users minds. This is not what I am seeing however. Always talking from a home user perspective. I am not trying to diminish the importance of the issue. It’s very serious and it is sad that it has broken out the way it did. However I do see some seriousness from all affected parties. I mean Asrock brought out the BIOS with what, less than a week or something. 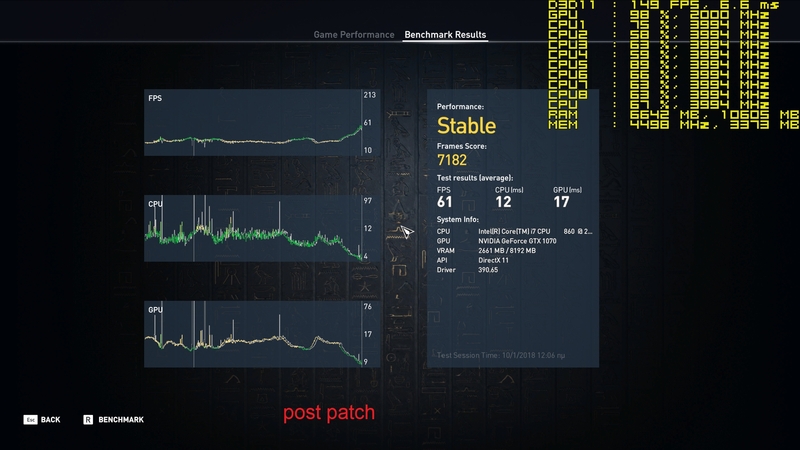 Now regarding the professional markets, I can understand that things will be much worse, especially with the very real IO performance degradation. Even some home users with fast SSDs will be rightfully annoyed. In these situations I believe some form of compensation should take place or maybe some hefty discounts for future products. Heck I know that I would be furious if I had seen a severe degradation on the gaming graphics department, which is my main focus. Of course testing will continue. 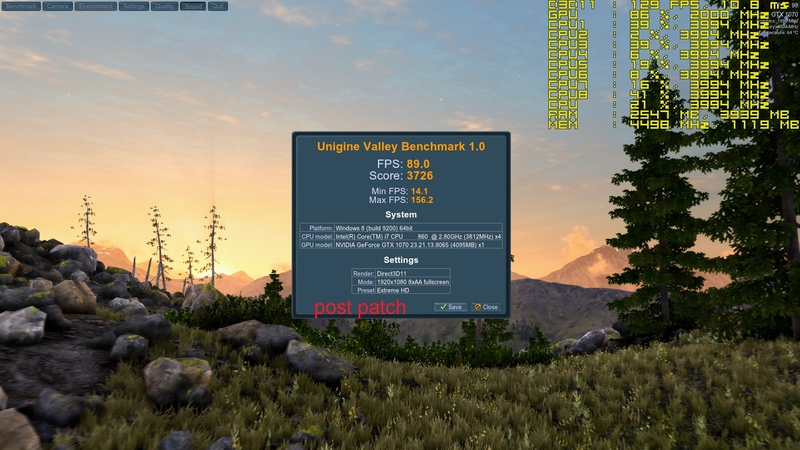 I have a good 1070+8600k pre patch gaming benchmarks database already, which I will compare with some select post patch benchmarks. If I find anything weird I will repost. 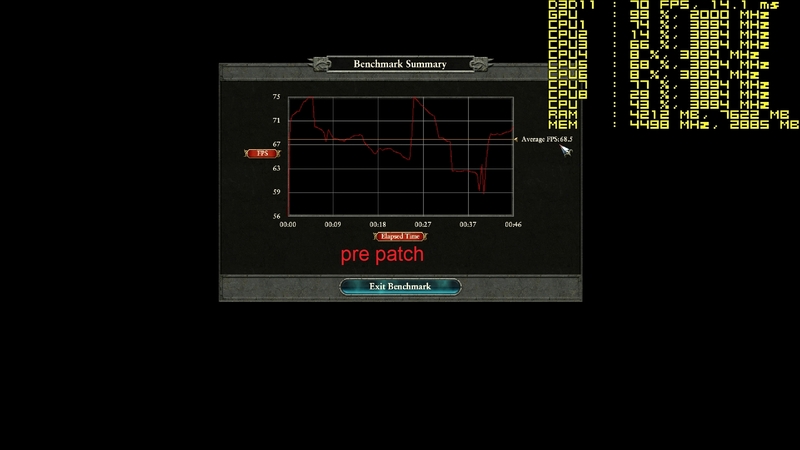 For reference, here are my pre patch benchmarking videos, from which the above pre patch results came from. 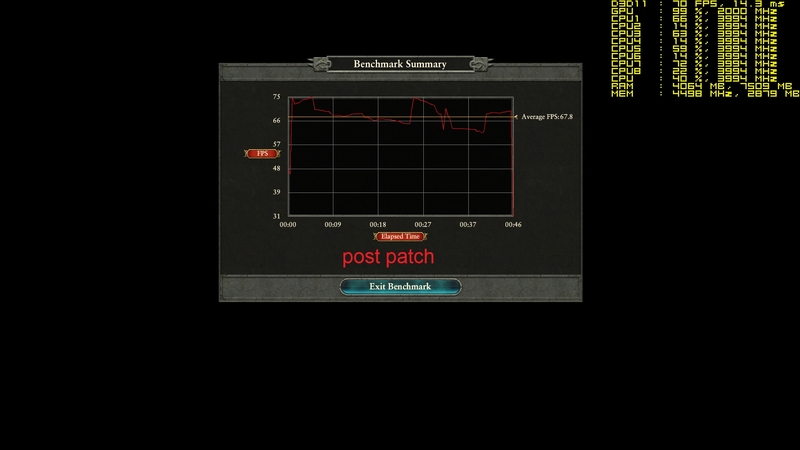 I did no recordings for the post patch runs. 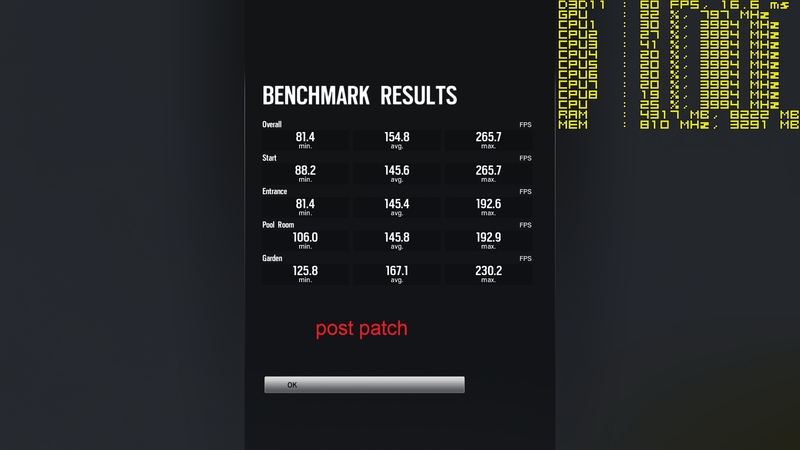 I did some tests using realbench and found that the patch made my AMD systems slightly faster. 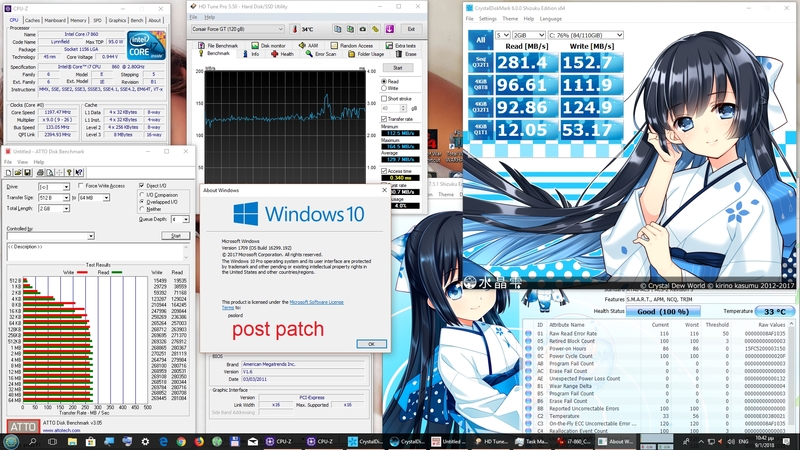 The only intel systems I have are E5300 (OC@3.1G) desktop and P9600 & T6600 laptops to test with and from tests they are taking massive performance hits with kb4056892 installed on the "Image Editing" "Encoding" & "Heavy Multitasking" tests, OpenCL seems to be unaffected. 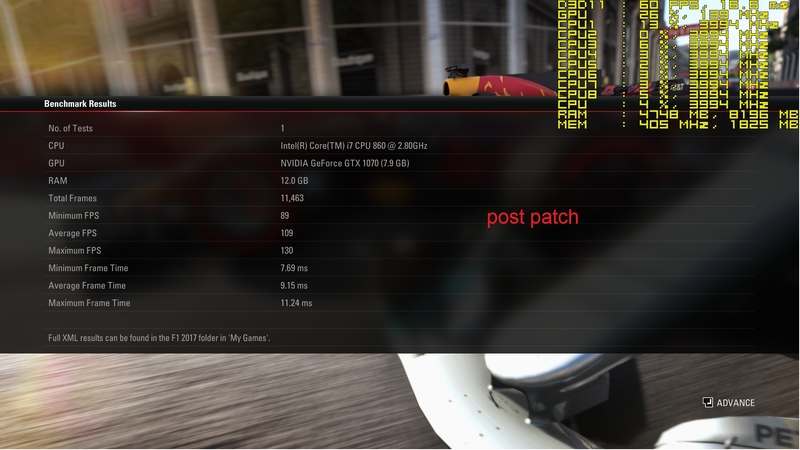 There has been talk on the ROG forums about possible slow downs for image & video editing / rendering. 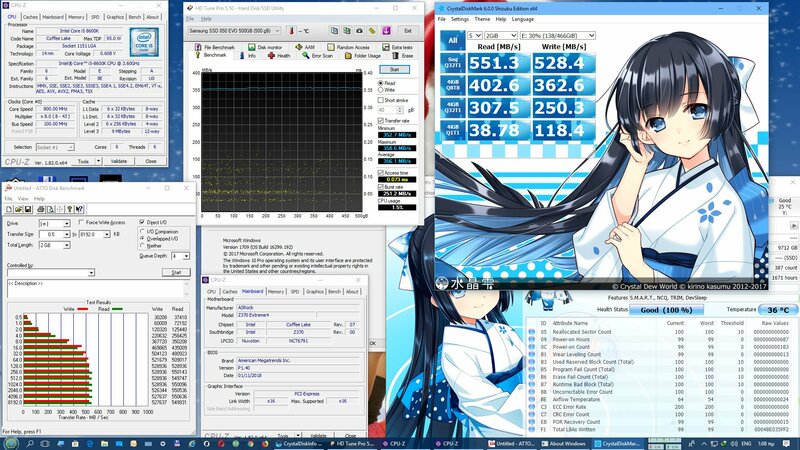 My AMD Phenom II x4 840 & FX8350 systems are actually slightly faster post kb4056892. 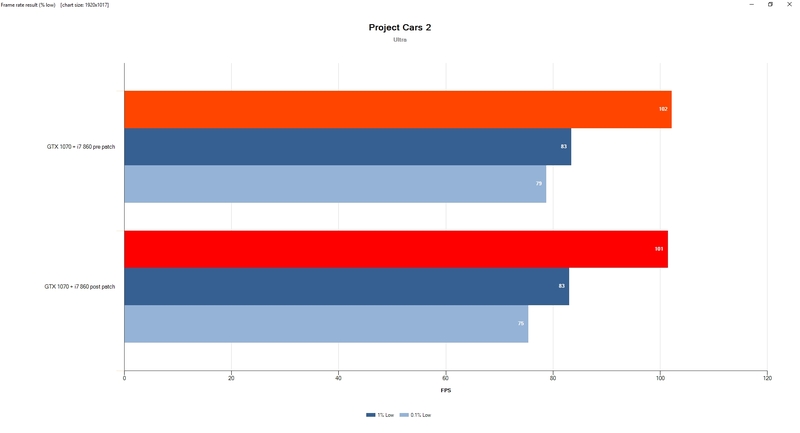 It's kind of interesting to see that I got around 30% less performance in some tests so that 30% figure touted might have been based in reality. 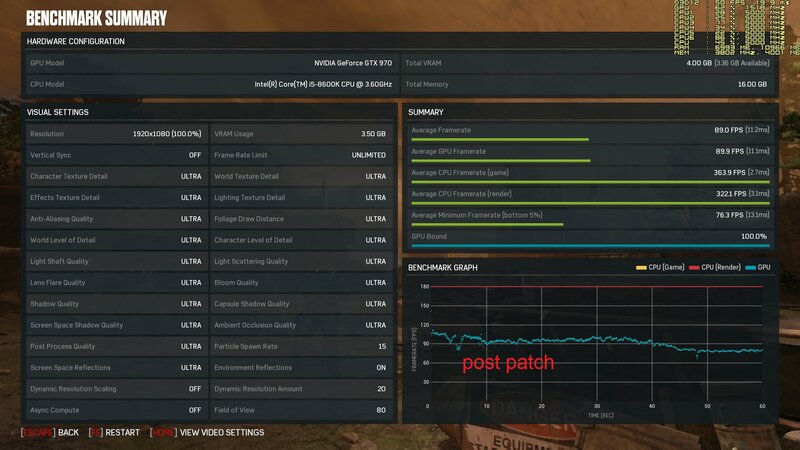 Also I have noticed my P9600 laptop seems to be unstable since the patch as it has shutdown / rebooted and had explorer crashes, remove the patch and it's stable again.